Mickey and I have really made it our mission to become debt free. It certainly isn’t easy to pay off everything, but the relief of having zero debt is worth every effort. 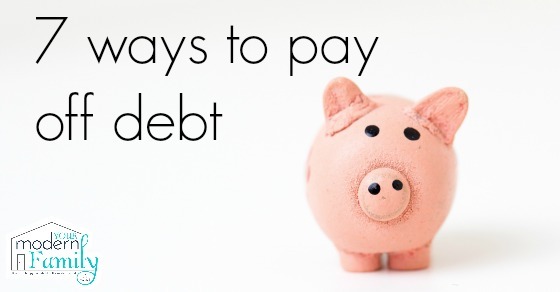 If you have debt, getting it paid off will mean that you have more available money each month and no interest to pay. Finding ways to pay off debt quicker isn’t always easy, sometimes you need to think outside the box to really come up with a plan!